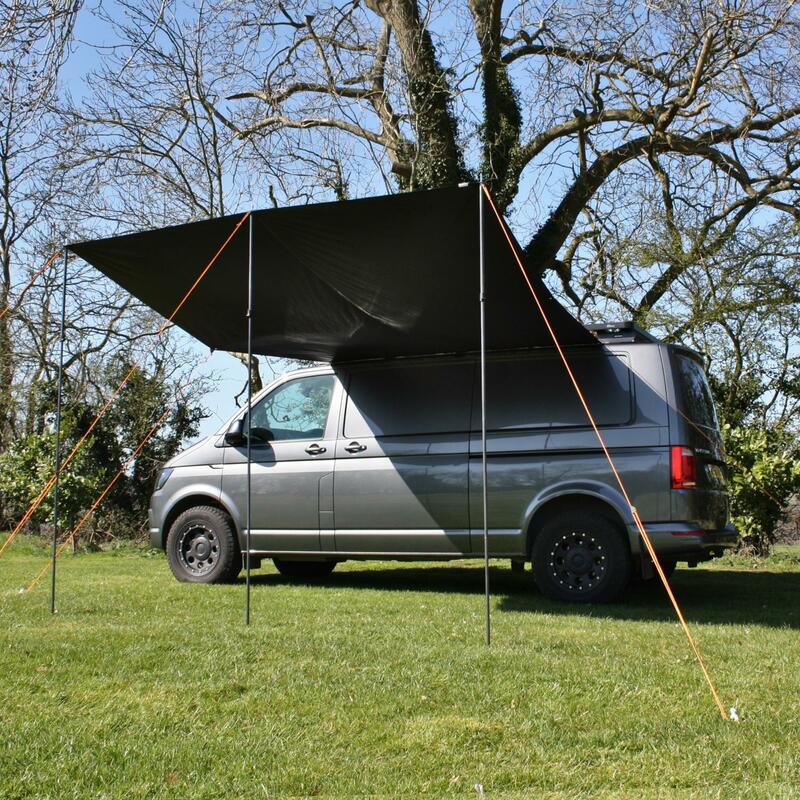 This quick pitch waterproof canopy is now available in sleek black - tres cool! 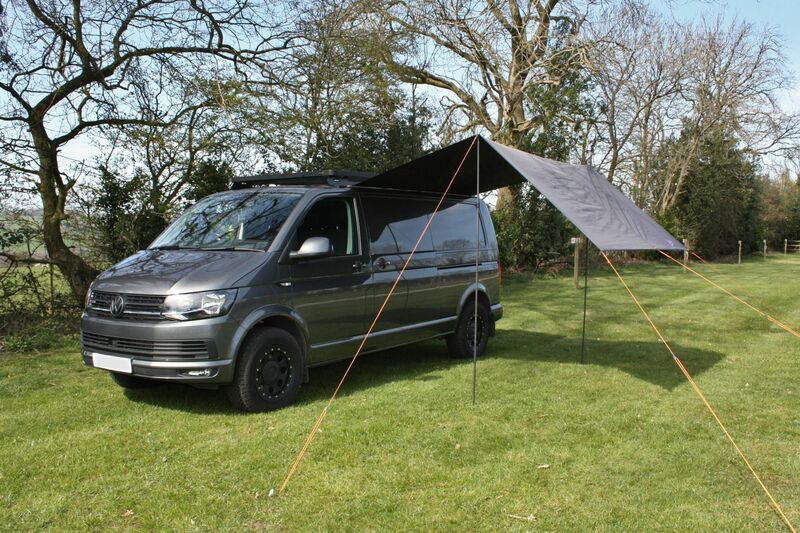 New for 2019, the Debus VW Sun Canopy awning is now available in Black offering an instant 8 square metres of sun shade and rain shelter over the side door of your camper van. This VW camper canopy has standard 6mm core Kador beading sewn into the rear edge that simply slides directly into a C-Channel awning rail or Reimo Multi-Rail. This waterproof, lightweight canopy is packed full of features and can be set up in numerous configurations using the height adjustable poles… use just one middle pole in wet conditions to allow complete rainwater run-off. It can also be set up as a free standing shelter or attached to a Vango Kela or Idris Awning as a retrofit front canopy. The compact pack size makes this versatile canopy easy to store under a rear seat or Rock’n’Roll bed when not in use.